Flip Out Mama: Nordic Ware has my Heart. Sorry Hubs. You're out. Nordic Ware is in. I am lovin' them. A lot. Nordic Ware is a family owned, American kitchenware company based in Minneapolis, Minnesota. 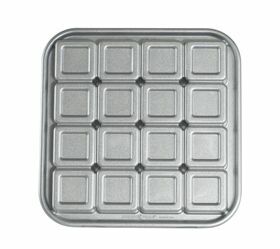 Their products include kitchenware, bakeware, cookware, microwave and barbecue supplies. 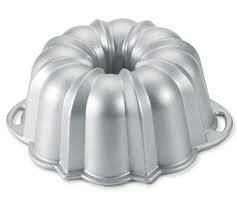 But their most famous product, was and continues to be, the Bundt pan. You probably have one of these in your kitchen, since 2 out of 3 American households own a Nordic Ware product. I remember my mom using these when I was a kid. I wish that I would have been old enough for her to pass them down to me, because Nordic Ware pans are durable and made to last. They are actually perfect for passing down to future generations. When Nordic Ware agreed to let me do a review for them, I fainted. Okay, not really. But close. I received the Zoo Friends Pancake Pan. Oh My Goodness. Cutest. Thing. Ever. Tater went crazy when he saw it! 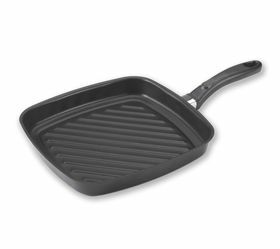 This pan is really heavy (but not too heavy), when you pick it up you can tell that it is good quality. 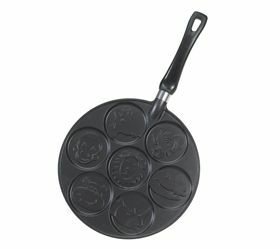 You can make seven small pancakes at a time with this pan. There is a giraffe, monkey, lion, rhino, hippo, elephant, and alligator. I am so excited to use this pan! 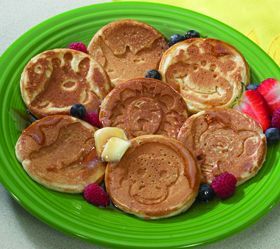 It is the most adorable thing ever, and I cant wait to make pancakes just like this for my boys! Would you like to see a few of my other favorite things from Nordic Ware? 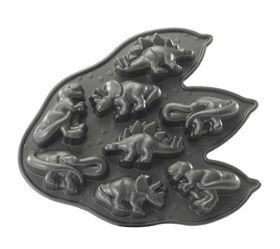 This is the Dinosaur Cakelette Pan. And look what it can do! 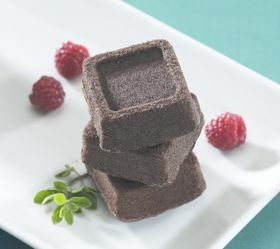 And look at what you can make with the adorable Brownie Bites Pan!!! Sigh. It's love. I could really go on for hours showing you all the things I love about Nordic Ware, but I am making myself hungry. A big thank you to Dana @ Nordic Ware for providing me with this wonderful pan, and my kiddies with pancakes that will make them smile!!! Join Nordic Ware on Facebook and Twitter for updates about new products and promotions! disclosure: I received a sample product in order to write this review post. Although a product was received, this in no way influenced my opinion of the product(s) or company, and no monetary compensation was received. Now instead of reading this disclosure, you should be looking at Bundt pans! They have Nordic Ware at Williams-Sonoma and I am doing a W-S gift card giveaway right now! LOL. 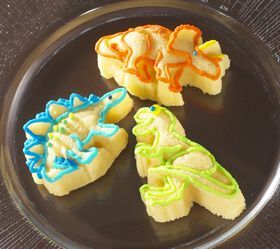 I love that Zoo Friends pancake pan. My kids would flip!